The last two weeks have been hectic to say the least. I have been moving between professional development workshops, lectures, planning meetings, orientation meetings and trying to tidy up my classroom/ staffroom. My primary school background results in a bit of a struggle for me when it comes to classroom organisation and having a desk in a separate staffroom. I am used to “living” in my classroom and having a designated teacher space within the classroom. Now, I have a teaching space (which is essentially my homeroom) and a desk set up in a staffroom across the walkway that is shared with approximately 10 other staff including teachers, teacher aides, volunteer tutors and our school nurse. I am slowly getting used to sharing a work space with other adults. I am slowly getting used to the idea of not having everything at my finger tips in my classroom. I want to show you how my classroom looked on my first clean up day last week. I planned to spend a day (7:30am – 3:30pm) in the classroom and get as much done as possible. Then, I used every spare moment over the week (between PD, meetings etc) doing the rest of the work in the classroom. I was sure that after the first two days the classroom looked worse than it did in the beginning. On Tuesday afternoon I left the room with a smile. I was happy with it, finally. Bulletin boards and word walls will evolve over time and students will create charts and posters and everything will look very different by the end of the term. But for now, I’m happy. I have just started uploading photos for this post and I can’t find the “before” photos that I wanted to show you. Insert sad frustrated face. Therefore, you will have to settle for the gallery of after photos. Check it out. sliding door is behind the curtain and this is our resource cupboard which is the first thing to the left of the door entry. You can see our resource cupboard and beside that is a computer “pod” that includes 3 desktop computers. There is a small shelved trolley under this pocket chart now, but I’m not sure where it was when I took the photo. That’s odd. Now you can see some of the desks. I am not sure why there isn’t a better photo of our work area. I will have to work on that one. A close up of the corner seen in the previous photo. The trolley has teaching resources and drawers hold stationery for chart making as well as extra supplies for students. The small drawers have our behaviour management resources- sticker charts and stickers for rewards, buddy slips and reflection sheets, extra work for leaving the classroom. A few weeks after this photo was taken and the wall already has so much more on it. This is our main area of charts that we want students to reference often, so they are at the front left of the seating area. A small turn from the previous image and you can see the main teaching whiteboard, our lesson focus board and the shelves storing student folders. The ‘comfy’ chairs. We use this area for small group time and rewards. The white shelves behind the chairs hold teacher reference books, math manipulatives, and literacy/ numeracy games. We are back to the entry door as this desk is to the right of it. It is still quite messy here, but I try to tidy it up every afternoon before leaving for the day. This makes a great quiet work space for the teachers, or when a teacher aide works individually with a student. This photo shows you the view from the back of our desk area. I should have sat at a desk. This photo makes it look like I can only see 4 students, but I can see my whole class from this position at the whiteboard. The notice board is going to be the centre of a “readers and writers” display. I have written captions for each of the images, so if you want my lovely commentary, you will need to click on the first photo and it will take you to a slide show which also shows the captions. I hope you are making progress in your own classrooms. I will say nothing so as not to ruin it. I saw you as you rushed past me in the lunch room. Urgent. In a hurry to catch a bite before the final bell would ring calling all the students back inside. I noticed that your eyes showed tension. There were faint creases in your forehead. And I asked you how your day was going and you sighed. This week we are checking out the Super Hero Theme. I am enjoying this theme because it has 3 available colour palettes when most of the others have only one. I can change background colours and insert my own header. Post formats look different from each other and my widgets have adapted really nicely to the new theme. Let me know what you think by liking this post or going back to my other status updates about theme trials. I would like to let you know that I have begun updating my resource page with some new Numeracy blogs and sites. A new blog I just discovered has been the catalyst for creating the new section. There are a few other sites and blogs that will certainly be turning up there soon. Be sure to check back often. I think this is my shortest blog post ever! 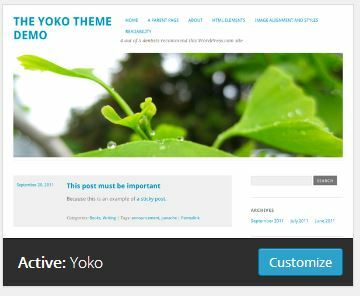 I’m quite excited to be trying a new theme this week called Yoko. Please “vote” by liking this status post or if you prefer the last theme, click here and click the Like button. Unfortunately, I can’t show you both themes right now. 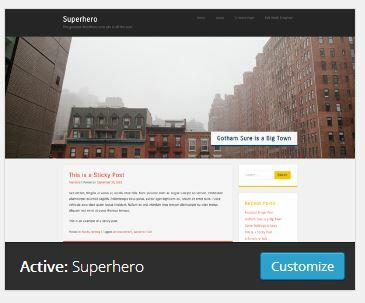 At the end I will show screen shots of each theme on my blog so you can compare that way and let me know. A big welcome to my newest followers and the likes and comments that I received this week. I have been enjoying visiting other blogs lately and reading posts that are recommended every time someone chooses to follow me. In fact the bulk of my reading (for pleasure) is coming from Word Press at the moment and I’m loving it. This week has been very busy at school and many things have happened to make timetables obsolete (again!). One teacher has been transferred. Several teachers have been given an extra class while others have had to give up one class for the sake of another. Some teachers have had to change roles and even faculties to accommodate all the last minute changes. We are about to begin week four of our school year and very few of us feel settled and on track with our classes. This is difficult. Meanwhile, I still have so much that I want to do around here to share my classroom and my ideas with you. For instance, I am still working on an image post to show you the before and after states of my classroom clean up. There are many photos of posters and charts that have been completed in my class which, I am planning on cataloging for the future. 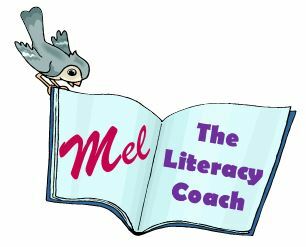 Then there are lessons that have worked well and the inevitable responses to recent news articles and blog posts about literacy and numeracy, education reform, school funding and supporting all students in the classroom. There is so much happening. Please bear with me. Don’t forget to check out the different pages (see my menu bar) with the new theme and vote by “liking” this post. If you have any suggestions or questions, please leave a comment. the link to do that is at the top of each post (when using Yoko theme).